So in Japan, I used to chow down on these fried mashed potato things called “croquettes.” They were super creamy, had bits of sweet corn mixed in… one of my most favorite snacks ever!! Anyway, JRoc asked me before slipping off to dream-land last night, if I would be so kind to make him some fried mashed potato balls with garlic and bits of sharp cheddar in them for snack today. 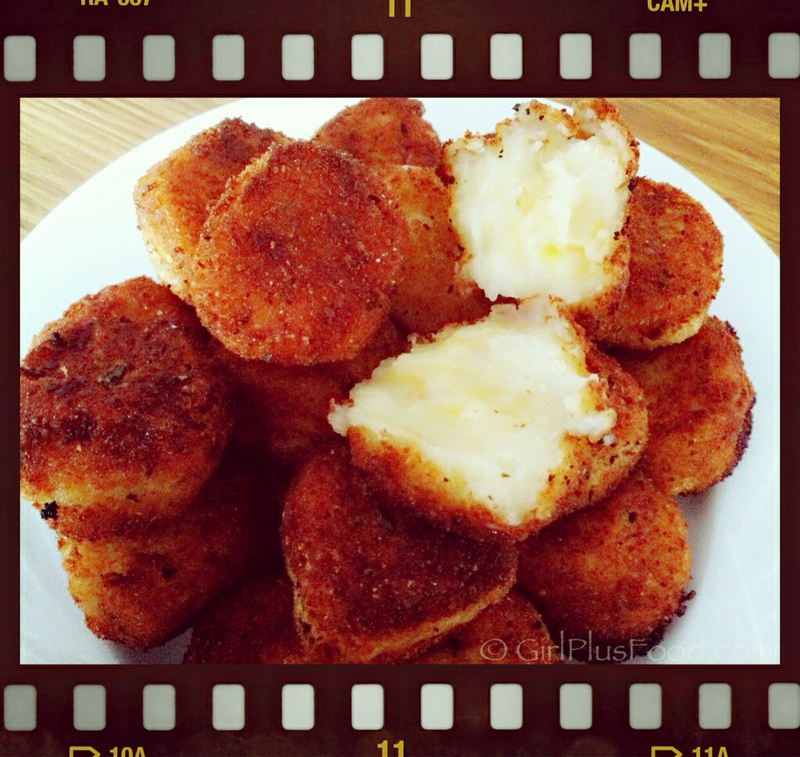 I thought… “Hmmm… kinda sounds like my croquettes… mmm!” and found today, that’s what they’re called… croquettes! They’re SO EASY TO MAKE and very, very NUMMY! If you haven’t had them before, give it a shot!! Place mashed potatoes in a bowl; stir in the cheese and garlic; let stand at room temperature for about 30 minutes. Shape mashed potatoes into 1 in. balls; dip them into the eggs, then dredge in the bread crumbs. Let stand for 15 minutes. In an electric skillet, heat 1 in. of oil to 375°. Fry potato balls, a few at a time until golden brown. Remove with a slotted spoon to paper towels to drain. Serve warm.